KPT is an audiovisual trio which combines composition in segments with live improvisation. Formed in Madrid in 2009 by Gregorio Kazaroff, Marcos Prack and Ivor R. Tamplin, its work explores the possible synaesthesia between the sonic and visual planes. 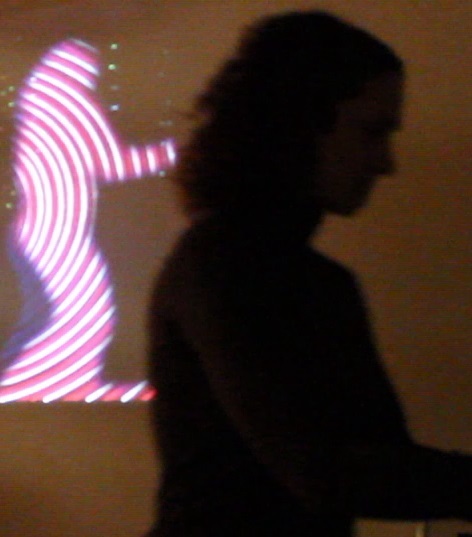 KPT was presented within the framework of a live-arts workshop organised by the collective LaptopsRUs in MediaLab Prado, Madrid. In 2012, KPT participated together with other audiovisual artists in the events Share Festival and Artistas del Barrio, both of them held in Madrid. In 2013 KPT broadened its media scope to include María Ferrara (movement). KPT+F has since participated twice in Raras Músicas, a series of experimental music concerts held in Madrid. Click here to watch an excerpt of KPT+F’s first performance.